Canada is a constitutional monarchy with a Westminster-style parliamentary democracy. It is also a federal state in which legislative authority is constitutionally divided between the federal government of Canada and the provincial governments of Canada's 10 provinces. The federal government and the provinces are sovereign within their respective spheres of competence. Canada also has three sparsely populated northern territories, but they do not enjoy independent constitutional status and derive their powers from Canada's federal government. Legislative powers, including those regarding certain mining matters, may be transferred by the federal government to its territories through a process known as 'devolution'. The devolution process relating to mining matters is complete in connection with Yukon and the Northwest Territories, and continues in connection with Nunavut. The provinces delegate certain powers to cities and other municipalities, effectively creating a third level of government. The constitutional division of powers in Canada is complex, but as a general rule the federal government has jurisdiction over matters of national and international importance, while the provinces have jurisdiction over matters of local importance. For example, the federal government has authority over trade and commerce, while the provinces have authority over property law, land use, and planning and contract law. Two distinct legal systems exist in Canada. With the exception of Quebec, the provinces and the territories are common law jurisdictions that follow the Anglo-American tradition. In the largely French-speaking province of Quebec, private law, including property and contract law, is civil and conceptually similar to that of France and other continental European countries. Generally stated, the governments of Canada, the provinces and the territories are favourably disposed towards mining and provide a comparatively stable and well-developed legal framework for mining. Jurisdiction over mining is shared between the federal government of Canada and the provincial governments of the 10 provinces. Except for uranium, each province has exclusive power over mineral exploration, development, conservation and management within its territory, irrespective of who owns the land or minerals. For example, on federal lands within a province, while federal law continues to apply to such lands, it is provincial law that applies to the exploration and development of minerals. The governments of Canada and the provinces share jurisdiction over a number of areas, including the environment and taxation. Finally, the federal government of Canada has exclusive jurisdiction over some matters that indirectly affect mining, such as foreign investment and export controls. The federal government also has exclusive power over mineral exploration, development, conservation and management within the three northern territories, although much of this power has been devolved to the territorial administrations. Laws directly relating to mining deal with property and land-use planning, mining rights, the regulation of mining activities, taxation and the environment. The governments of Canada, the provinces and the northern territories have each enacted laws relating to mining, effectively creating multiple distinct regimes. While little conscious effort has been made at standardisation, these regimes have many common features and as a result provide a relatively consistent legal approach to mining. Lands and minerals in Canada that have not been sold or otherwise granted are owned, subject to aboriginal title, by the Crown (i.e., the federal or provincial governments acting in the name of Her Majesty the Queen). Until the early 20th century, governments in Canada when granting land to private parties would often also grant the ownership of minerals under such lands. Governments have stopped this practice and have since retained the ownership of minerals. The only exception is the grant of minerals made in recent decades as part of some aboriginal land claim settlements. Canada owns all minerals under federal lands located in the 10 provinces and three territories, as well as offshore. In those instances where land ownership does not confer ownership of the underlying minerals (the vast majority of cases), one person may hold surface rights (e.g., ownership of land) while another may hold mining rights (e.g., the right to prospect, explore or carry out extraction and processing activities). In such cases, the rights and interests of the holder of the surface rights may conflict with those of the holder of the mining rights. 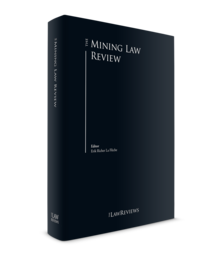 Mining legislation in each province or territory, as supplemented by the relevant property law, deals with such conflicts. As a general rule, the exercising of mining rights may not materially interfere with the use and enjoyment of surface rights. When they do interfere, the surface rights holder must be adequately compensated. 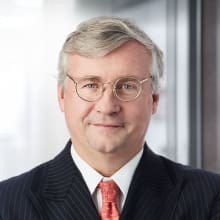 In those instances where financial compensation is not an adequate remedy and the surface rights holder is a private party, most Canadian jurisdictions provide for the holder of the mining rights to acquire the surface rights. Mining rights in Canada fall into two broad categories, namely 'claims', or exploration licences, and mining leases. A claim or exploration licence grants its holder the exclusive right for a limited period to carry out exploration work within a designated area. Exploration work may include overburden removal, exploratory drilling and test ore extraction and milling. A mining lease allows its holder to carry out extraction and processing activities on a commercial scale. There are two systems for acquiring mining rights in Canada, the 'free-entry' system and the 'Crown discretion' system. The former is the prevalent system and is in force in all provinces and territories with the exception of Alberta, Nova Scotia and Prince Edward Island, which use the Crown discretion system. Under the free-entry system, persons interested in carrying out exploration work may designate or 'claim' on a first come, first served basis those areas where they wish to carry out the work. This designation will be recognised provided that certain formalities are met and, most importantly, provided that the area is not already subject to another person's similar claim or exploration permit, or is otherwise off limits to mining (e.g., the area is located within a national park). A claim also entitles its holder to the right to obtain a mining lease. This right is not subject to government discretion if all the conditions precedent to issuance have been met. Under the Crown discretion system, persons interested in carrying out exploration work must apply to the authorities for the requisite authorisation and the authorities have discretion (within limits) to approve or decline the application. Although generally a free-entry jurisdiction, authorities in Quebec have the discretion to refuse applications for sand and gravel mining leases for reasons of public interest. environmental permits and licences, as well as the surface rights permits and licences necessary to carry out exploration work (particularly if the work is accompanied by extensive surface disturbance) or extraction and processing activities under mining leases. Most provinces require a closure and rehabilitation plan to be filed prior to commencing mining activities, including in some cases prior to commencing exploration work. Financial guarantees are also required to cover all or a substantial part of the plan's costs. In addition, annual reporting and periodic plan updates may be required. The federal government and the provinces each have jurisdiction over environmental matters. The provinces have the broader jurisdiction by virtue of their general constitutional power to legislate over mineral exploration, development, conservation and management. The federal jurisdiction covers discrete matters falling within federal powers, including matters relating to navigable waters, fisheries, migratory birds, species at risk and the transportation of dangerous goods. Some provinces have entered into agreements with the federal government to provide for environmental cooperation in an attempt to avoid unnecessary duplications, delays and costs. The regulatory regimes of the governments of Canada and the provinces are broadly similar and comprise environmental assessment and review procedures to evaluate the environmental, economic, social and cultural impacts of new mining projects, including their infrastructure, prohibitions on releases into the environment (air, water and soil), licence and permit requirements, spill-reporting and clean-up requirements, environmental emergency preparedness, ministerial powers to issue orders and statutory offences. Environmental assessment legislation, depending on the size and scope of the project proposed, can require the proponent to produce an environmental impact statement describing the project, analysing the project's likely effects on the environment, suggesting mitigating measures where mitigation is possible and describing residual adverse effects where it is not. Projects that could have significant adverse environmental impacts are usually submitted to an administrative agency for a structured review that may lead to the issuance of guidelines or general or specific directions. Major projects are also generally subject to public review by an independent board or panel, which may produce recommendations or a final decision. Health and safety issues are addressed through occupational health and safety legislation as well as specific legislation for certain types of mining (e.g., coal or uranium). Directors and officers have a duty to take all reasonable care to ensure that the corporation complies with applicable health and safety laws, and can be held personally liable. Directors and officers may be held personally liable for the environmental consequences of a corporation's activities, particularly where the director is an inside director (that is, an officer or employee of the corporation or a major shareholder). Secured lenders who take no action to control or realise on security are generally not liable for their borrower's environmental failures. The Constitution Act 1982 recognises and affirms the existing aboriginal and treaty rights of the aboriginal peoples of Canada, which include the First Nations (Indian), Inuit and Metis people of Canada. In furtherance of such recognition and affirmation, Canadian courts have imposed on the federal and provincial governments a general duty to consult any aboriginal group whose aboriginal and treaty rights may be affected by a government decision, including the grant of permits or licences relating to mining activity. The duty to consult 'arises when the Crown has knowledge, real or constructive, of the potential existence of the aboriginal right or title and contemplates conduct that might adversely affect it'. Aboriginal rights are communally held rights to use lands and resources in a manner consistent with ancestral uses of lands and resources. These rights may not be sold or otherwise alienated by the aboriginal group to any person other than the federal government. Aboriginal rights confer exclusive use of the land and resources with respect to traditional uses. For example, if an aboriginal group has an aboriginal right to hunt on certain land, then it has an exclusive right to continue to do so on that land. Aboriginal title confers an exclusive right to control the land, subject to certain qualifications, including an inability to alienate the land, except to the Crown, or to develop or misuse the land 'in a way that would substantially deprive future generations of the benefit of the land'. Courts have determined that the federal and provincial governments can infringe on aboriginal rights but there must be a compelling reason to do so, and a mine may be a sufficiently compelling reason. However, before a government infringes on an aboriginal right, it must consult the affected aboriginal group and, through that consultation, mitigate any negative impact. The duty to consult is proportionate to the strength of the case supporting aboriginal right or title, and may be satisfied if there has been a reasonable and good-faith effort made to consult and reach agreement. The courts have made it clear, however, that the duty to consult does not impose an obligation to reach agreement. No party has a veto and both parties must act in good faith. Although the duty to consult is imposed only on governments, it is now normal behaviour for a mine proponent to be a participant in the process. In some cases (e.g., Alberta through its land management and resource development consultation policy and guidelines), the private party is required to interact directly with the relevant aboriginal group, but in most cases the private party will want to be involved in order to mitigate the risk of a legal challenge by an aboriginal group and the adverse effect that such a challenge could have on a project. Some provinces, including Ontario and Quebec, have implemented amendments to mining legislation that either incorporate the duty to consult in mining legislation, or specifically recognise that the mining legislation is to be interpreted in a manner compatible with the duty to consult aboriginal groups. The best mitigant to any challenge by an aboriginal group is the impact benefit agreement. This agreement is negotiated between an aboriginal group and a mine proponent. It is a private contract, which typically provides that, in exchange for support for the project, access to the mine site and local knowledge (among other things), the mine proponent will, for example, employ and train members of the community, hire local subcontractors, fund education and vocational training, pay compensation, open its capital to community investment and follow certain environmental practices. The impact benefit agreement is typically preceded by a pre-development agreement, which essentially governs the period prior to construction and commercial production. In light of a recent Supreme Court of Canada decision regarding aboriginal title, obtaining the consent or agreement of affected aboriginal groups through private agreements is now more important than ever. In 2014, aboriginal title over specific areas of land was confirmed by the Supreme Court of Canada for the first time. While confirming that the duty to consult and accommodate prior to aboriginal title being established is a spectrum depending on the strength of the claim and the seriousness of the potential infringement, the court concluded that, once an aboriginal group's title to land has been established, anyone seeking to use the land must obtain the consent of the aboriginal group. If consent is not obtained, the government can only encroach on aboriginal title in narrow circumstances. The government must be able to demonstrate that (1) it has fulfilled its duty to consult the affected aboriginal group and, through that consultation, mitigate any negative impact, (2) there is a compelling and substantial objective and (3) the use is consistent with the Crown's fiduciary obligation to the aboriginal group. Accordingly, in areas where First Nations have established aboriginal title, the consent of relevant First Nations will generally be required, and obtaining that consent is advisable for mining operations located in areas in respect of which aboriginal title is claimed although not yet established. Exceptionally, the federal government has extensive jurisdiction over the mining of uranium. The source of the federal government's power is its constitutional power to make laws for Canada's 'peace, order and good government'. An independent federal regulatory agency, the Canadian Nuclear Safety Commission (CNSC), regulates the use of nuclear energy and materials, and implements Canada's non-proliferation obligations. CNSC licences are required for each phase in the life cycle of a uranium mine: site preparation and construction, operations, decommissioning and abandonment. The licensing process is comprehensive, and no licence will be issued unless the CNSC is satisfied that the mine proponent is able to protect health, safety, security and the environment, and to satisfy Canada's international non-proliferation obligations. Federal legislation requires mining companies (among others) to publicly disclose, annually, certain payments to governments, both domestic and international, including aboriginal entities. Reportable payments include taxes (other than consumption taxes and personal income taxes), royalties, fees, production entitlements and infrastructure improvement payments that exceed the amount prescribed by regulation or, if no amount is prescribed, C$100,000. The legislation applies to any mining company that (1) is listed on a Canadian stock exchange or (2) has a place of business, does business or has assets in Canada and meets two of the three thresholds relating to assets, revenue and number of employees. In Quebec, there is similar legislation at the provincial level, although with a domestic focus. Mining operations and mineral processing within Canada are subject to comprehensive legal regimes designed to protect health, safety and the environment. These regimes have numerous requirements relating to permitting, licensing and continuous compliance. While increased processing of minerals in Canada is a stated objective of most governments in Canada, they have rarely imposed secondary or tertiary processing obligations on mine operators. The government of Canada has the constitutional power to regulate international trade and commerce. Canada favours international trade, including in natural resources, and is reluctant to impede the free flow of goods. While Canada has an import and export control regime in place, anchored by the Export and Permits Act, it serves primarily to satisfy Canada's international obligations and interests, including nuclear non-proliferation and sanctions imposed by the United Nations. The direct acquisition of control of a Canadian mining business by a World Trade Organization (WTO) investor that is not a state-owned enterprise (SOE) would be reviewable under the Investment Canada Act (ICA) if the enterprise value of the investment is above a certain threshold. In 2018, the threshold is C$1 billion. The threshold is increased to C$1.5 billion in enterprise value for certain trade agreement investors (i.e., investors ultimately controlled in EU Member States, the United States, Mexico, Chile, Peru, Columbia, Panama, Honduras or South Korea) that are not state-owned enterprises. Starting in 2019, the foregoing thresholds will be adjusted annually according to a formula based on the change in Canada's nominal gross domestic product. The review threshold for the direct acquisition of control of a Canadian business by a WTO SOE is based on the book value of the assets of the target (C$398 million in 2018). The thresholds for direct and indirect acquisitions where neither the investor nor the persons who control the vendor are from WTO countries are also based on the book value of the target's assets but are considerably lower (C$5 million and C$50 million, respectively). Indirect acquisitions of control of a mining business by or from WTO investors are exempt from review. The relevant test for approval under the ICA is whether the acquisition is of 'net benefit to Canada', taking into account a number of factors, including the effects on employment, capital expenditures, technological development and the level of resource processing in Canada. The approval of the Industry Minister under the ICA is often conditional upon the foreign investor entering into binding undertakings with the federal government of Canada (usually in force for three to five years) in which the investor commits to maintaining one or more of the following: Canadian head office operations, production levels, participation of Canadians in management, employment levels, research and development expenditures and capital expenditures with respect to the Canadian business. Uranium mining is subject to special rules. The basic policy of the government of Canada is to ensure a minimum level of Canadian ownership of 51 per cent in uranium mining at the stage of first production, although lower levels of Canadian ownership are acceptable if there is de facto Canadian control or no Canadian partners can be found. Reviewable investments by SOEs are subject to guidelines that essentially require the SOE investor to have a commercial orientation and to meet Canadian-equivalent corporate governance standards. Of particular significance in the natural resources sector is the fact that the ICA may apply to a target business that does not have a strong connection to Canada. For example, if the target business is a mining company with a head office in Canada that generates all its revenue outside Canada, its acquisition may still be considered an acquisition of a 'Canadian business' subject to ICA notification or review. In addition to the foregoing investment review, the ICA provides for a 'national security' review process for the establishment of a new business, the acquisition of control of a Canadian business (irrespective of the value of its assets), a minority (non-controlling) investment in a Canadian business and, in addition, the acquisition of an entity with some Canadian operations. If the Minister of Industry has reasonable grounds to believe an establishment, acquisition or investment may be 'injurious to national security', the Federal Cabinet has broad remedial powers, including ordering that the investment not be implemented, requiring the investor to provide undertakings, and compelling divestiture of a completed transaction. The ICA regulations do not specifically identify business sectors or activities that raise national security concerns, nor do they identify factors to be considered by the government in assessing whether an investment may be injurious to national security. This is further complicated by the broad application a national security review may have, catching not just large transactions but also smaller transactions that fall below the monetary threshold for general review, minority investments that do not constitute an acquisition of control and transactions where the target may not have a significant Canadian presence. Moreover, there is no formal pre-clearance mechanism. Despite this, for transactions that are notifiable or reviewable under the general investment process, early filing of a notification or application for review will trigger a 45-day period during which the Minister is required to issue a notice of review or possible review. In the absence of receiving such a notice, foreign investors can assume that no national security review will occur. However, in the case of a minority (non-control) investment, the national security regulations provide that the Canadian government has until 45 days after the closing of the transaction to advise that the investment may be subject to a national security review. This means that the government is not required to provide guidance prior to closing, raising the possibility of a divestiture order in the event a national security concern is identified. The government has signalled that the purpose of the national security mechanism is to 'ensure that Canada's sovereignty is not threatened' and that it should not be 'mistaken as a form of protectionism'. There are good reasons, including Canada's desire to attract foreign investment and not to provoke restrictions on Canadian investment abroad, to believe that national security will not be expansively interpreted. Nevertheless, foreign investors will no doubt be monitoring future investments with interest. shareholding: in respect of the acquisition of voting shares in a corporation or of interests in non-corporate entities. The parties to a notifiable transaction must make a statutory filing and wait for the required statutory waiting period prior to closing (unless an advanced ruling certificate or waiver is received). For transactions that raise potentially significant competition concerns, the Competition Bureau may, within 30 days of receiving the parties' statutory filing, issue a 'second request' for additional information. Issuing a second request has the effect of extending the statutory waiting period until 30 days after the parties have provided all the information specified and have certified compliance with the second request; however, for transactions that do not raise material competition concerns, the Competition Bureau will continue to provide comfort to merging parties either in the form of an advance ruling certificate or a 'no-action' letter with a waiver of the pre-notification filing. In such situations, the parties may choose to not make a statutory filing but instead to file only a 'competitive impact brief' explaining the competitive impact of the transaction, in which they would seek an advance ruling certificate or a 'no-action' letter. All provinces and territories (with the exception of Prince Edward Island) impose mining taxes or royalties. However, there are significant differences among the provinces and territories. The differences include the calculation methodology, the applicable rate or rates and the minerals subject to mining taxes. There are few mining taxes or royalties based solely on production or extraction. Most are calculated on a net smelter return, net mine profit or some other net mine proceeds basis, in which some but not all costs (e.g., financing expenses) are taken into account. Mining taxes and royalties are most often deductible for income tax calculation purposes. The federal and provincial governments levy income tax. Residents of Canada are subject to income tax on their worldwide income. Subject to treaty relief, non-residents of Canada are subject to withholding tax on Canadian-sourced passive income (e.g., interest, dividends), and income tax on Canadian-sourced business income and capital gains. Income is determined each year on an accrual basis. Provincial corporate income tax is calculated in a manner similar to federal income tax (with some province-specific variations), but at lower rates that vary from 10 to 16 per cent depending on the province. flow-through share mechanisms that allow corporations to pass along exploration and development expenses deductions to their shareholders. In addition to administrative fees levied pursuant to mining legislation, mining activities in Canada are generally subject to the same taxes applicable to other businesses. These will include federal and provincial payroll taxes, customs duties on imports of machinery, equipment and ores and concentrates, land transfer taxes, the federal goods and service and provincial sales taxes, and regional and municipal property taxes. Canada is a stable democracy with a well-established rule of law and good infrastructure. It is extraordinarily well endowed with natural resources. It is also a relatively high-cost jurisdiction. While foreign investment in the Canadian mining sector has been affected by the recent global downturn in commodity prices, this has been offset to some extent by the decline in the strength of the Canadian dollar and Canada continues to attract strong interest from foreign investors. Investment, including foreign investment, in the resources sector is an important aspect of the Canadian economy. Historically, the principal challenges for mining operations in Canada have included obtaining environmental and other approvals, and a lack of infrastructure, particularly in the remote northern regions. Trends being observed include the desire of the federal government and several provincial governments to ensure that environmental impact assessments and other regulatory processes are finite, and cannot be needlessly delayed by third-party challenges. The view is that there is sufficient knowledge and experience to mitigate most (if not all) risks posed by mining and infrastructure development, and that the process is being abused, thus needlessly increasing project costs and delaying development. In other words, governments across Canada view natural resource development as being positive, provided that it has the support of local populations, is compliant with all laws, particularly environmental laws, and is financially beneficial to the province or territory wherein it is located. This represents a considerable change from the situation of 15 to 25 years ago, particularly in central and eastern Canada. In September 2018, the Canadian Criminal Code was amended to implement a Remediation Agreement Regime (RAR), which functions similarly to deferred prosecution regimes in other jurisdictions. Under the RAR, remediation agreements will be entered into by the government and organisations accused of committing certain economic-crime offences (e.g., foreign corruption, fraud, bribery). Any remediation agreement will be subject to court approval. If the remediation agreement is complied with, the charges will be stayed and a criminal conviction avoided. The objectives of the RAR include encouraging voluntary disclosure of wrongdoing and holding organisations accountable through 'effective, proportionate and dissuasive penalties'. 1 Erik Richer La Flèche, David Massé and Jennifer Honeyman are partners at Stikeman Elliott LLP.